If you clean the carpets in your property regularly you will keep them in good condition and use them many years to come. The best way to ensure the spotless condition of your Persian and other kinds of carpets is by using professional cleaning services. Our company can ensure the perfectly clean condition of the carpets in your home, rented and business property which will save your expensive investments from early wearing out. Get in touch with us to schedule your carpet cleaning provided in Morden SW19 and you will be pleased with the outcome. The services which we carry out are effective and ensure full removal of stains, odours and pollutants from carpet fabrics. You can use our professional services after guests, parties or whenever you need thorough and professional one-off sanitising of your carpets. Our cleaning technicians inspect each carpet closely and test the detergents in advance before applying them. They hoover the carpet after spraying heavily soiled areas and then provide hot water extraction which ensures full disinfecting of the fabric. Pollutants, allergens, stains and odours are removed and extracted from the fabric along with the moisture. In the final phase of the process the carpets are deodorised and ready to be used. The cleaning is implemented with the help of powerful and high-quality machines, detergents and tools, provided by our company. 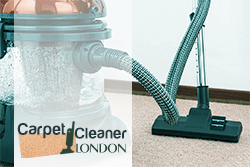 Contact us to book the carpet cleaning you need in Morden and our staff will prepare and send you a quotation. Our services are implemented according to the fabric of each carpet without damaging it. Our cleaning technicians have been trained and know how to sanitise each floor covering using safe, but effective machines, tools, and preparations. 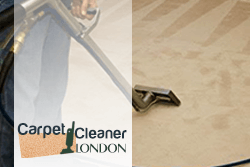 Get in touch with us whenever you need one-off professional carpet cleaning for your domestic or commercial property, based in SW19 London and we will provide it.